Diamond cut & Shapes guide also called the 4Cs, is here to help people who are confused by the term. So here is our guild to help shed some light on the matter. When you hear the word shape this referee’s to the overall outline when viewed from the top of the stone and not how it been cut. Examples of cut include princess, emerald, marquise, oval, pear, heart and cushion. These are usually referred to as “fancy” shapes. The overwhelming majority of precious stone sold in the UK is round and is commonly called a round brilliant cut. The cut grade refers to the placement and proportions of facets (facets are the individual in a round-brilliant diamond, measuring the extent to which they maximize brilliance (light return), scintillation (sparkle) and fire (flashes of colour). 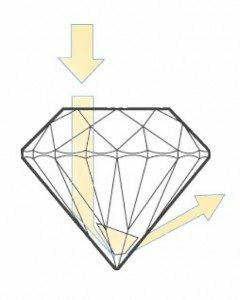 There is no one single set of angles and proportions that constitute an ideal round-brilliant cut, but there are general parameters that dictate the quality of a diamond’s cut. Width and depth affect how light travels through the gem. The goal is to angle the facets in a way that causes them to refract light out through the top, or table, of a diamond. 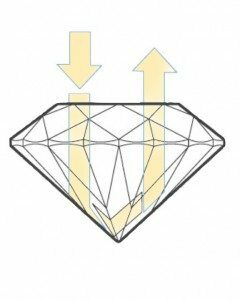 When a diamond is too shallow, the light will exit through the bottom or pavilion. When a diamond is too deep, the light will exit through the sides of the pavilion. Polish and symmetry also affect the beauty of a diamond. Polish refers to the smoothness of the diamond’s facets. Symmetry refers to the alignment of the facets. Even with a good cut, poor symmetry can redirect light return, causing it to exit through the pavilion instead of the table. A poor polish can make a diamond appear dull and lifeless. 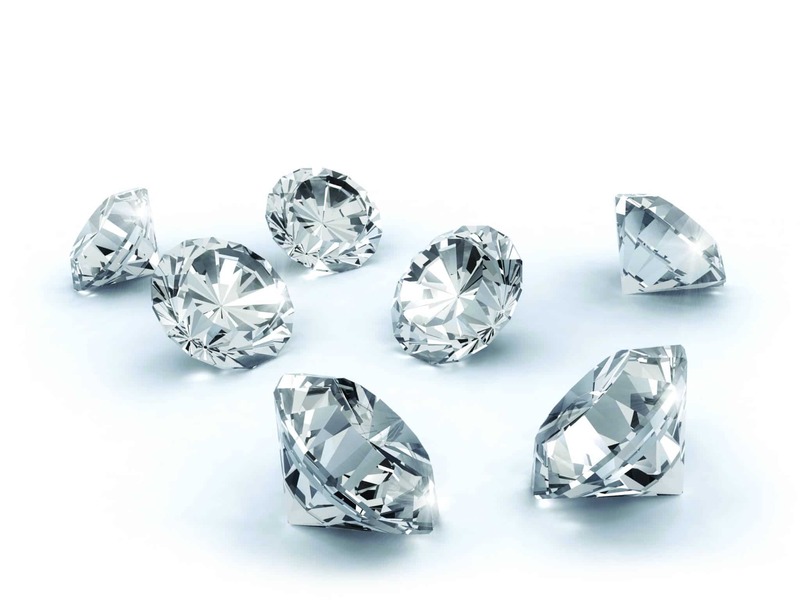 Most larger diamonds are accompanied by a certificate that grades and describes a diamond’s cut, including separate grades for polish and symmetry. The certificate normally states how the is diamond cut & shapes as well as it’s weight. 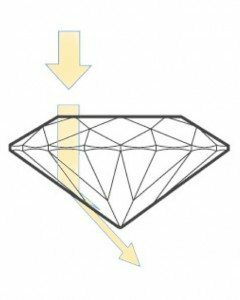 Why aren’t all diamonds cut to ideal proportions? To cut a diamond perfectly, a craftsman often needs to cut away more than 40% of the rough diamond. 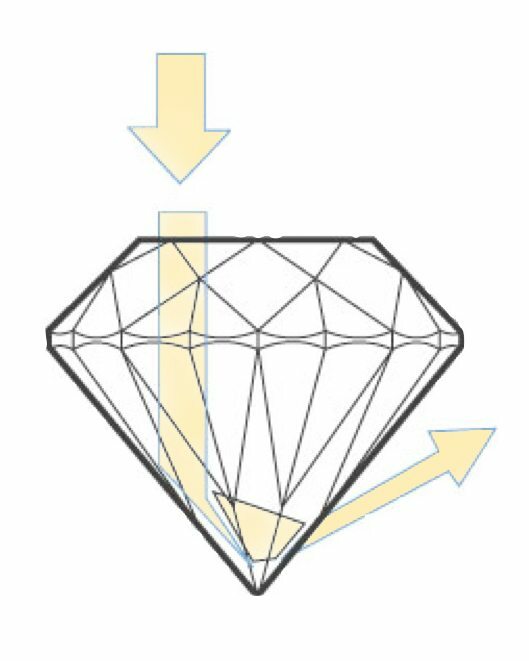 The ideal cut and weight retention – the primary determinant of a diamond’s value. Whatever your chosen diamond cut & shapes of stone we can design a bespoke engagement ring as individual as you. So come have a chat with the Rubie Rae team and see what we can do for you.